Now you can indulge in your ice cream dreams in Cold Stone Creamery: Scoop it Up! 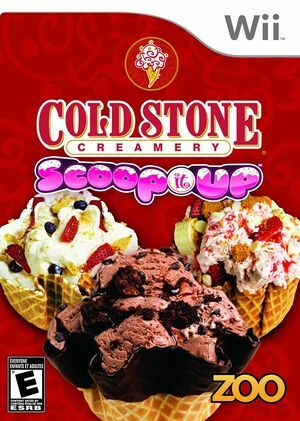 In Cold Stone Creamery's first licensed video game, players jump behind the counter to make custom creations by choosing from 25 different ice cream flavors and a slew of yummy mix-ins for the "Ultimate Ice Cream Experience." Travel the world, bringing new customers delicious creamy combinations. And when you're not serving clients, play a variety of mouth-watering mini-games on your own or compete against friends! The graph below charts the compatibility with Cold Stone Creamery: Scoop it Up since Dolphin's 2.0 release, listing revisions only where a compatibility change occurred.